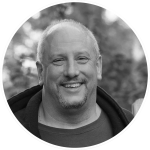 Skip is the co-founder of Philly Marketing Labs, a digital marketing agency that partners with growing, mid-sized businesses to provide visibility to profitability using goal-driven dashboards. Skip and his team employ the latest digital marketing tactics to help companies adapt, engage and thrive. In addition to partnering with PML clients, Skip leads the methodology and conversion optimization efforts at Philly Marketing Labs. Skip has a passion for building new generation companies and guiding others who seek to do the same. In the mid-90’s he founded Destiny, an eCommerce software company that created one of the world’s first online banking systems for Bank of America. He has provided Web marketing and strategic guidance to brands like Comcast Corporation, The Vanguard Group and Mellon Financial. Skip serves on the advisory board of a number of start-ups and teaches entrepreneurship at the Wharton Small Business Development Center. His volunteer work includes donating time to Transition Town Media, PhillyNORML and The Main Line Digital Marketing Meetup. Skip has certificate level training in Integral Theory (study of human perspectives), Holacracy (system of agile governance), Role-based Assessment (team building typology), SEO, Landing Page Optimization, Conversion Optimization and Web Analytics. He has a black belt in Aikido and lives with his family in suburban Philadelphia.